Beards are Brian ‘Gib’ Long’s business. 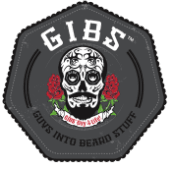 As the founder and chief executive officer of GIBS Grooming, his tightly-cropped man whiskers have to be in tip-top shape. Thankfully, Long swears that’s not too hard with a steady diet of grooming products and visits to his local barber at Lucky 27 Barbershop & Social Club in Fort Collins, Colo.
Q: How do you maintain your beard? A: It starts with my barber. I have a great barber. I go to him every other week. The barbershop is a place to socialize, maybe have a cigar. My barber serves beers, and there is a pool table in there. He trims my beard, shapes it with a straight edge razor. I maintain his work at home. I have a soul patch under my lip, and it is shaved on the sides. I shape it with a razor, and use my shave gel, which isn't out on the market. Then, I use beard oil on it everyday. Q: What is beard oil? A: It is oil specifically designed to keep the beard soft and manageable like hair oil does for the hair on your head. It has qualities and characteristics that take care of the skin underneath your beard as well. People that have beards know why that’s important. It's not going to leave a heavy residue. It will just make your beard soft and maintained. It will also help not make your beard smell like cheeseburgers and cigarettes. Q: How do you use beard oil? A: It 's the exact same application process as hair oil, but in the beard. A little goes a long way. Put a little in your hand, between one and four squirts. Apply it against the grain of the beard and then back down with the grain of the beard. If you want to, you can comb through it. Then, you put the rest of the residue in your hair. Q: How do you select the razor you use? A: I wish I could wield a straight edge, but I can’t. I would end up cutting myself, but, if I had to choose, I would always use a straight edge razor with shave gel. Aside from that, I use a regular store bought multi-blade razor. Cheap razors end up causing trouble when you shave a beard. My razor has five blades and a vibrating handle. The vibrating handle might be a gimmick, but I fell for it. Q: How should you wash your beard? A: You would never let your hair go without washing it. Your beard also needs attention. The hair on your head is different from the hair on your face, and you need a different product to take care of it. Can you use shampoo? Yes, but the Whisker Wash Beard & Face Wash [coming soon from GIBS Grooming] will work better. You should wash your beard everyday like you wash your face. I've met guys who say they never wash their beards. I look at them, and it shows. Q: What’s the craziest beard you have ever seen? A: No doubt, the beards on the beard bosses from Remington [Products]. I saw them at a beard and mustache competition. They have some real far out funky beards. They are long, pulled together in five different directions, with mustaches that go out a foot on either side of their head. They own their beards. They love their beards. Q: How do you convince a guy who is not using beard products to use them? A: A lot of people are stern in the sense that they don’t want to do anything. When you do it, it is better. It's like someone who drank Budweiser their whole life and you get them to taste a micro-brew. Then, they get it. There is more diversity to beer than just Budweiser. I don’t like the feeling of my beard now without oil in it. I am so accustomed to treating my beard. It feels dry and brittle if I go without. Q: Do you think there is difference between a man who has a beard and a man who does not? A: I think there was. It’s like there used to be only one kind of guy that rode a Harley. Now, there are a lot of guys that ride a Harley-from business guys to just regular guys to biker guys. The beard used to be a look for a specific type of person. Now, all men can sport a beard and own it.